Compared with copper red burgundy hair color is darker and tends to make black hair shinier. 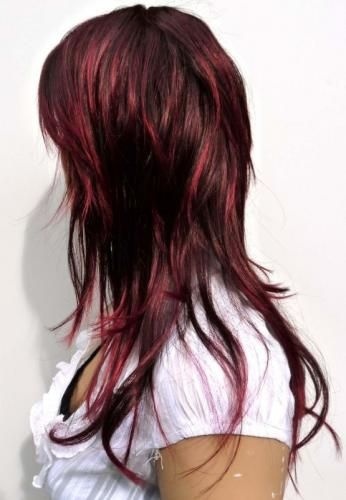 You monotone shade will transform into a flashy hair color due to the fiery burgundy highlights. Like the copper red hues burgundy highlights also work with light and dark complexions and make black eyes pop out. 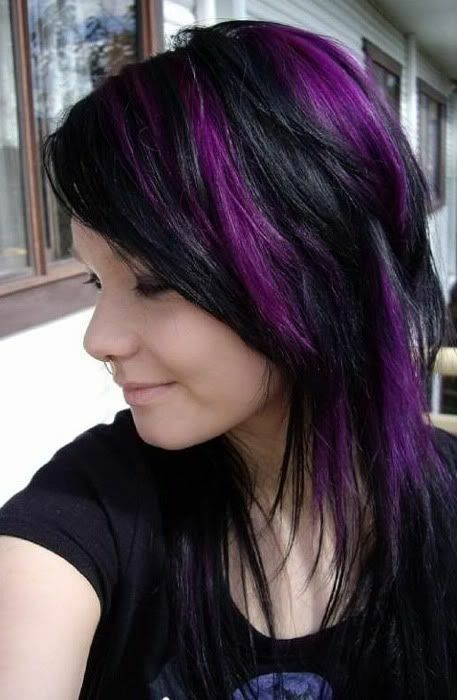 Purple Highlights for Black Hair Vibrant purple hair colors are perfect for black hair. You can choose light or dark purple shades or multi-tone purples. This is an edgy hair coloring choice for ladies who are ready for radical changes in their look. 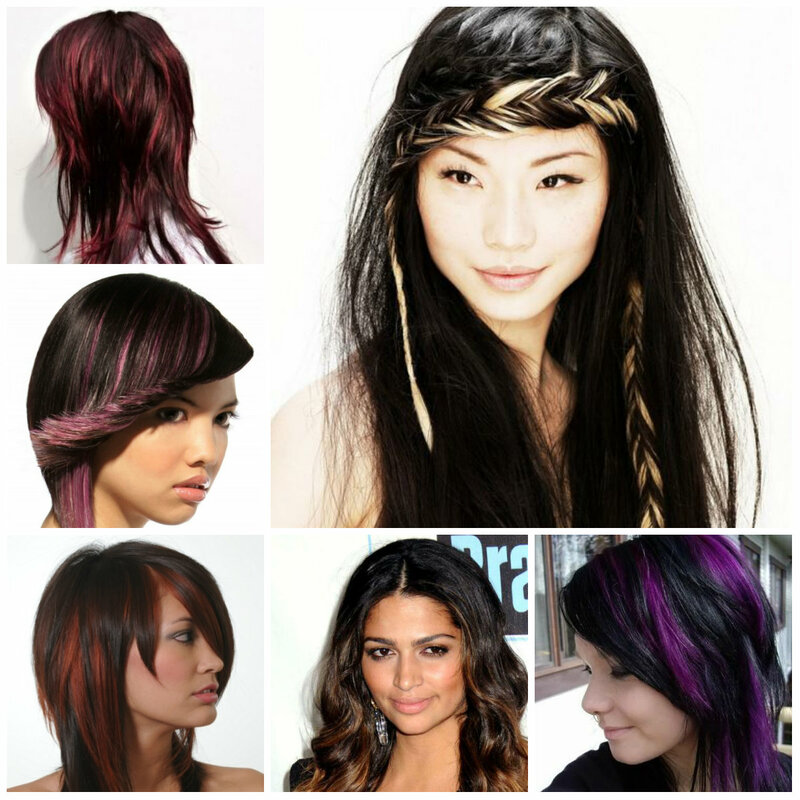 So, try to enhance the beauty of your dark hair with vibrant pinkish, purple and bluish highlights in 2016.